*Disclosure: I will be receiving tickets to this show in exchange for blogging about it. The opinions listed here, however, are my own. The Illusionists will be performing at the Fisher Theatre in Detroit this April and May, and I'm excited to see them. I've never been to one of their shows, but I love magic shows - I've seen David Copperfield and Penn & Teller before, both in Vegas. THE ILLUSIONISTS - WITNESS THE IMPOSSIBLE™, the world’s best-selling touring magic show, will play Detroit’s Fisher Theatre, April 28 – May 10 as part of a 20 city U.S. tour. The show had a highly successful holiday run on Broadway this past year. Tickets for THE ILLUSIONISTS are on sale at all Ticketmaster locations, by phone at 1-800-982-2787, and online at www.broadwayindetroit.com or www.ticketmaster.com. Tickets will also be available for purchase on Monday, February 2 at the Fisher Theatre box office. Having shattered box office records around the world, THE ILLUSIONISTS - WITNESS THE IMPOSSIBLE™ is now coming to captivate Detroit. This mind-blowing spectacular showcases the jaw-dropping talents of seven of the most incredible illusionists on earth. Full of hilarious magic tricks, death-defying stunts and acts of breathtaking wonder, THE ILLUSIONISTS has dazzled audiences of all ages. Creative Producer Simon Painter said, "We can’t wait to bring this electrifying show to Detroit for a truly entertaining experience for the whole family. THE ILLUSIONISTS is the most non-stop and powerful mix of outrageous and astonishing acts ever to be seen on the live stage." · The Trickster, Jeff Hobson is a Michigander and the epitome of glamour and showmanship. Don’t be fooled by his innocent appearance; Jeff has audiences laughing long after the curtain goes down. · The Inventor, Kevin James – also a Michigander – is known for innovative illusions, is an inventor, comedian and collector of the strange and unusual. Kevin is one of the most prolific inventors of magic in the world and has created some of the most celebrated illusions of the last century. 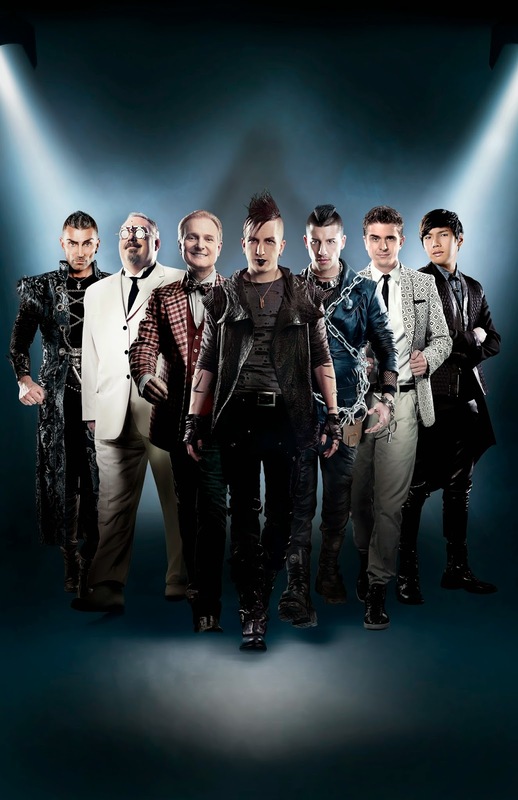 Tickets for THE ILLUSIONISTS range from $35 - $85 (includes parking and facility fees). A limited number of premium seats will be available through Ticketmaster and at the box office. For group sales (12 or more) please email groups@broadwayindetroit.com or call (313) 871-1132. Performance schedule, prices and cast are subject to change without notice. Have you seen The Illusionists before? If not, who are some of your favorite magic show performers?